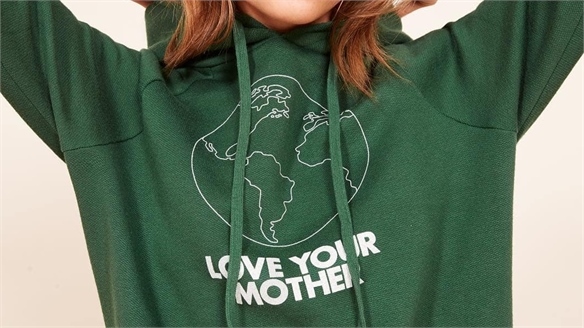 With more environmentally conscious consumers now regarding sustainability as a necessity, big brands and retailers are realising the importance of their sustainability agendas. 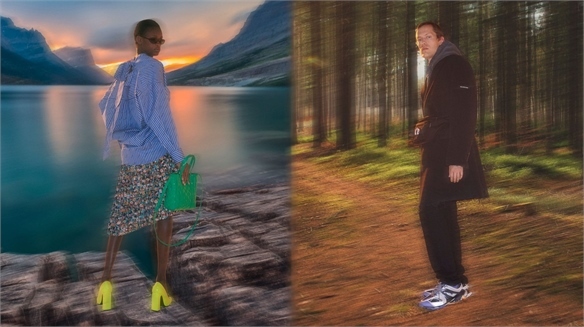 We take a look at the latest initiatives, and how brands such as Adidas and Starbucks are taking it mainstream. Plastic Phase Out: Pret A Manger has pledged to reduce its reliance on single-use plastic and is removing straws, drink stoppers and teaspoons from its stores. Both Starbucks and McDonald’s also plan to phase out plastic straws, replacing them with paper alternatives and straw-less lids for cups. UK grocer Iceland is leading by example after pledging to become plastic-free by eliminating all own-brand plastic packaging within five years and replacing it with trays and bags made from paper or pulp. Ikea will also phase out single-use plastic products such as plates, cups and freezer bags from its stores and restaurants by 2020. 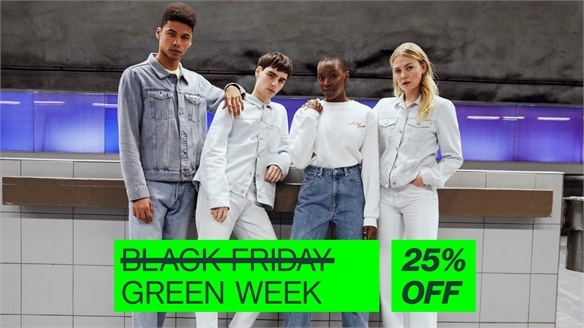 Virgin Plastic Alternatives: In a move that will save 40 tonnes of plastic a year, Adidas has committed to eliminating its use of virgin plastic by 2024, using only recycled plastic in its offices, retail outlets, warehouses and distribution centres. 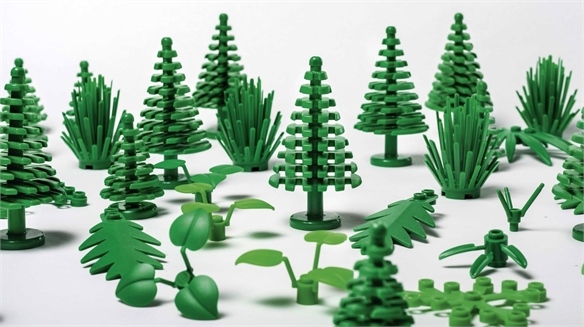 Ikea has committed to phasing out oil-based plastics, ensuring all its plastic products are made using recycled materials by August 2020. 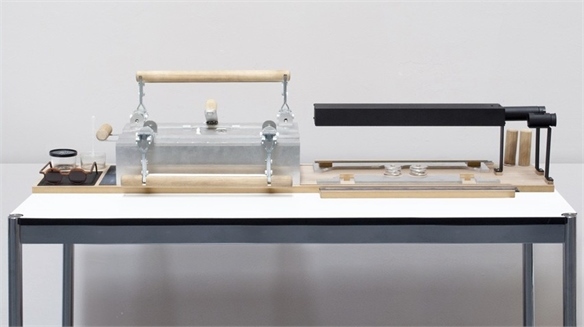 For an example, see Ikea’s Recycled Kitchen, produced as part of the company’s sustainability initiative. 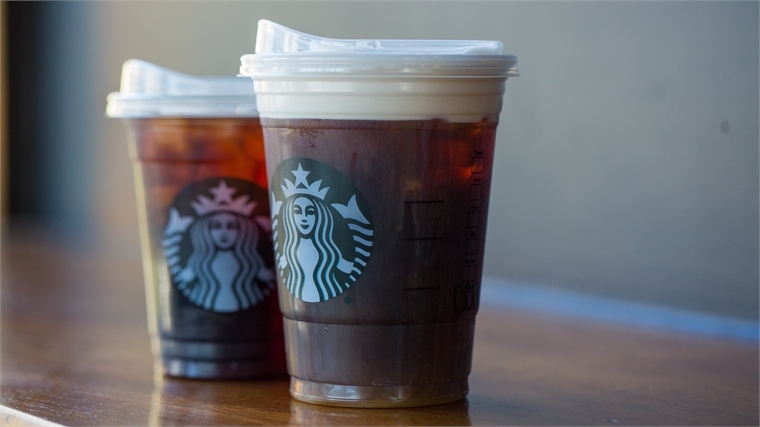 As part of a ground-breaking scheme to reduce cup waste, Starbucks and McDonald’s have joined forces to develop a worldwide recyclable and/or compostable solution to disposable cups. The NextGen Cup Challenge invites innovators and suppliers to submit promising designs for single-use cups. Entrants with good ideas will receive grants to help them realise their solutions. 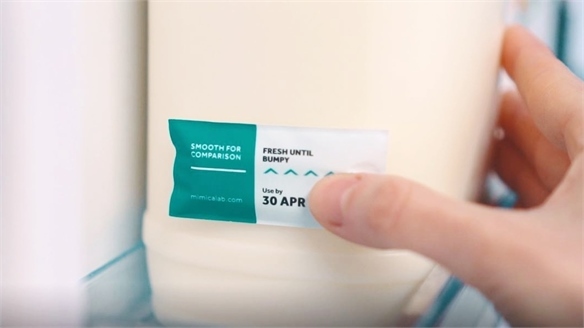 Pushing for Circularity: The UK Plastic Pact, a pioneering collaborative initiative, has been set up by sustainability experts Wrap to create a circular economy for plastics – bringing together brands which are responsible for 80% of all plastic packaging sold in UK supermarkets. Companies including Unilever, Nestle and Coca-Cola have signed up to the pact, which outlines that 100% of plastic packaging will have to be reusable, recyclable or compostable by 2025. Supermarkets including Sainsbury’s, Waitrose and Tesco have also joined. 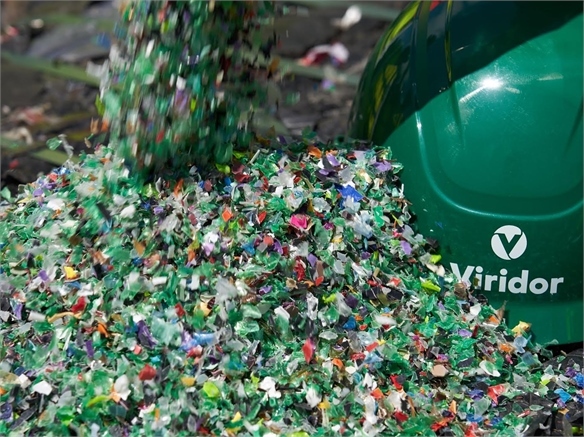 Improving Recycling Methods: British waste management company Viridor is collaborating with Danish packaging manufacturer Faerch Plast and UK supermarkets Marks & Spencer, Tesco and Sainsbury’s to transform recycled black plastic into new packaging solutions. 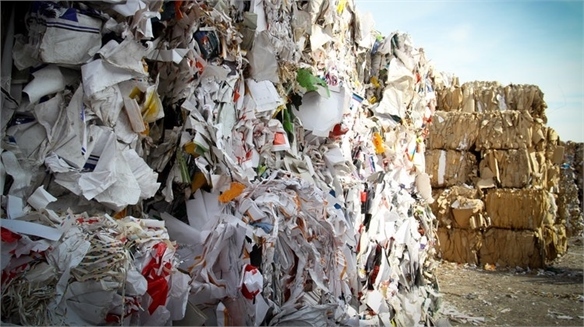 Currently, black plastic is highly problematic for recyclers. Made using carbon black pigment, it is undetectable by infrared optical sorting equipment and is commonly sent to landfill as a result. 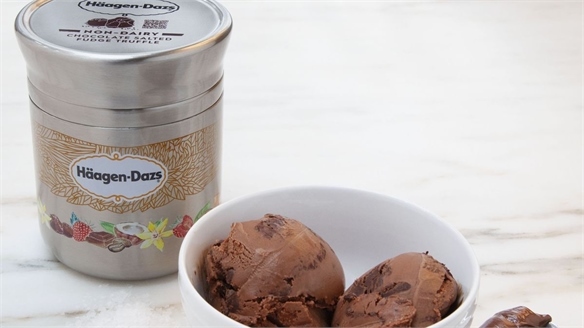 The project will essentially disperse collected black plastic into recycled coloured plastic streams, which will then be used in new packaging for the retailers. 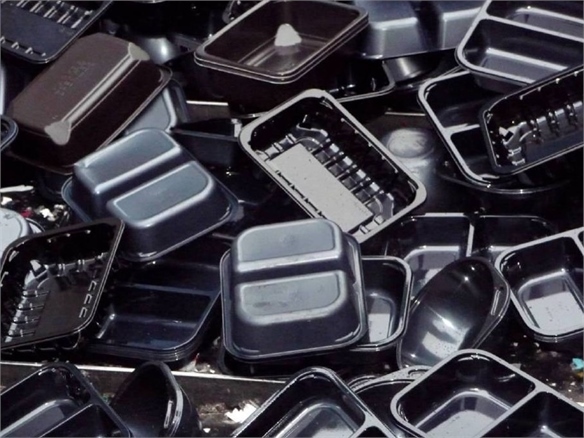 In a similar vein, Waitrose has promised to stop using black plastic trays by the end of 2019. 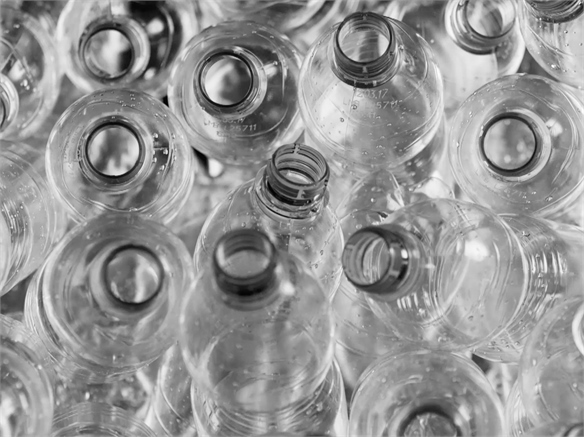 Encouraging Good Practice: In a bid to improve recycling rates, the UK government announced a deposit return scheme earlier this year that would see consumers receive a small cash sum for the return of used plastic, glass and metal drinks containers. 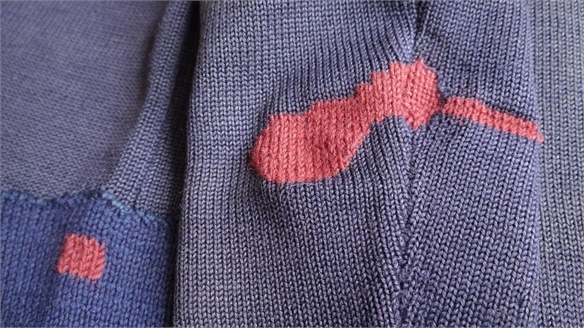 Several retailers, including Iceland and the Co-op, have expressed their support. 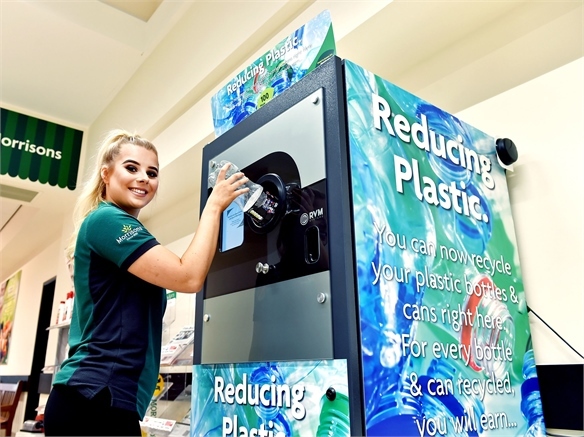 Meanwhile, Morrisons is trialling return vending machines at two of its stores – with customers receiving store coupons in exchange for used plastic bottles. Food and drink chains, including Pret A Manger and Costa Coffee, have introduced a small discount on drinks for customers who supply their own cups. 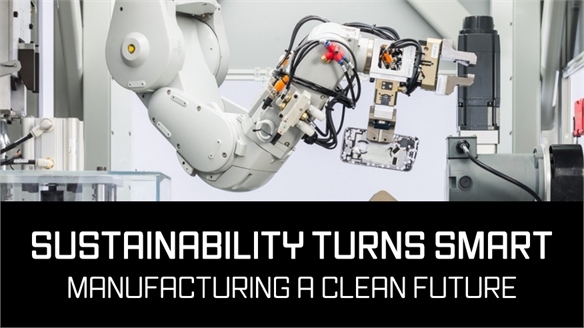 See Sustainability Turns Smart for more intelligent manufacturing solutions and Material Direction: Evolving Plastics for pioneering plastic alternatives. 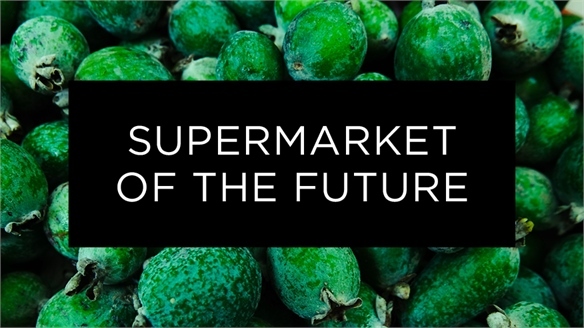 Supermarket of the Future Supermarket of the Future All brands and retailers should look to supermarkets for critical insights into social, cultural and environmental changes that are impacting and influencing consumers’ everyday lives. Evolving rituals, behaviours and priorities are all reflected on-shelf and in trolleys as individuals purchase products that align with beliefs around health, family, ethics, work and lifestyle. 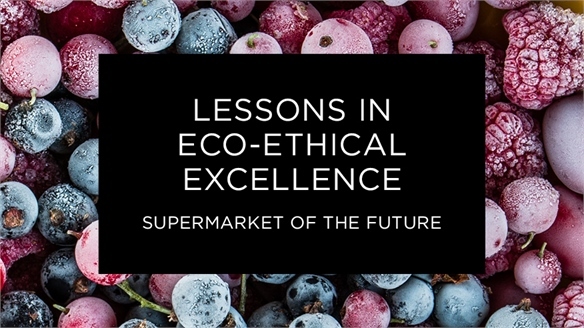 Supermarket of the Future: Lessons in Eco-Ethical Excellence Supermarket Trends: Eco Excellence Supermarkets are boldly leading the charge when it comes to eco-ethical brand strategy and responsible product development. 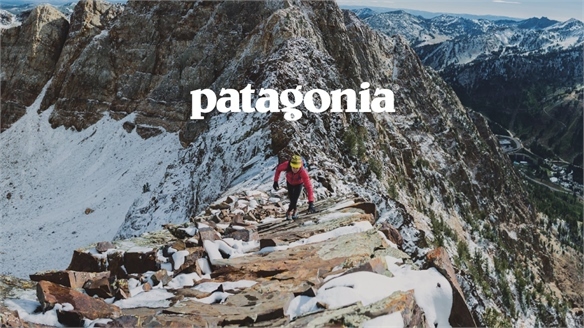 Brands across all industries can look to these retailers for best-practice tools and tactics that will propel them towards their sustainability goals. 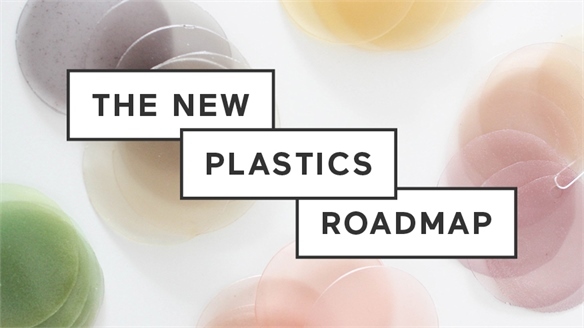 The New Plastics Roadmap The New Plastics Roadmap A worldwide revolution against the way we produce and consume plastic is underway. Increasing pressure from consumers and recent bans on plastic waste imports are forcing governments to face the plastic problem. Huge potential comes from innovations that enable more efficient recycling and untether brands from fossil-based plastics entirely. 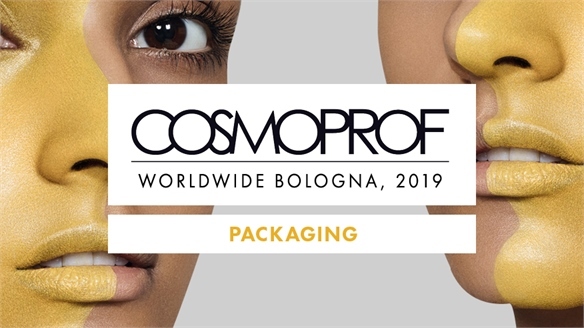 Cosmoprof 2019: Packaging Cosmoprof 2019: Packaging With eco considerations front of mind, a return to bulk and bar formulas is putting a new emphasis on packaging as a way to reframe everyday products in the eyes of the consumer. No-nonsense messages demonstrate a desire for transparency and utilitarianism, while playful designs for kids encourage interaction. Tea Brands Remove Plastic from their Brews Tea Goes Plastic-Free Each year, UK consumers drink 60.2 billion cups of tea – a large percentage of which are brewed with teabags lined with non-biodegradable plastic. 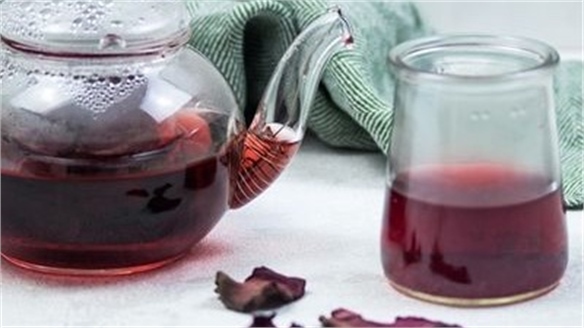 This industry norm is now being challenged by vocal consumers, and creative brands are responding with inventive and sustainable alternatives that could change the tea landscape forever. 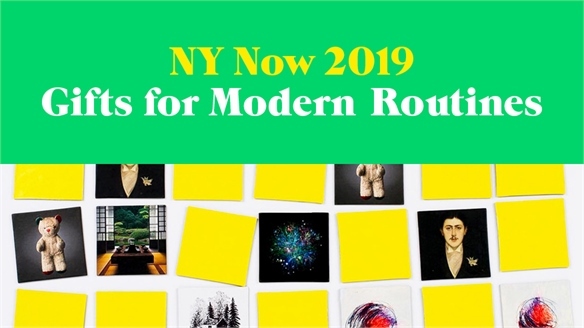 NY Now 2019: Gifts for Modern Routines Gifting Update: NY Now 2019 From sustainable solutions for reducing plastic consumption, to DIY kits that teach practical skills, the 2019 NY Now gifting trade show in New York City (February 3-6) showcased gifts intended to streamline modern lifestyles. 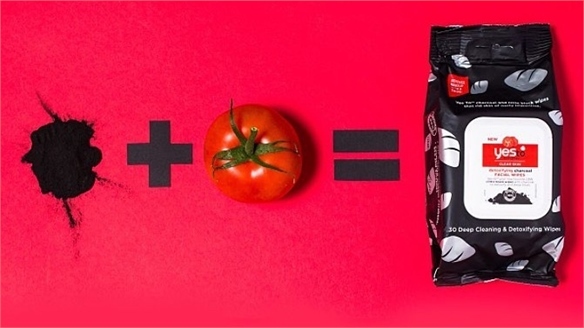 Loop’s Zero-Waste Packaging Platform for Brands Loop: Zero-Waste Packaging Platform As consumers become increasingly aware of the environmental impact of single-use plastics, grocery brands are overhauling their packaging strategies. 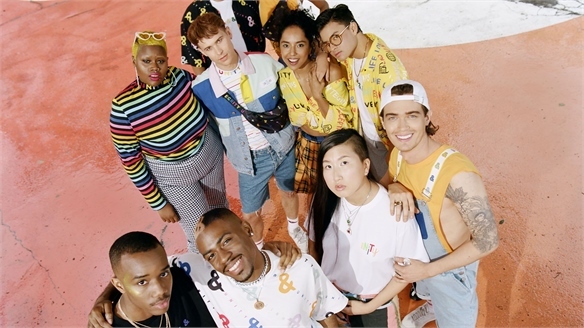 To this end, a coalition of global brands has come together to create Loop, a new zero-waste online shopping platform. 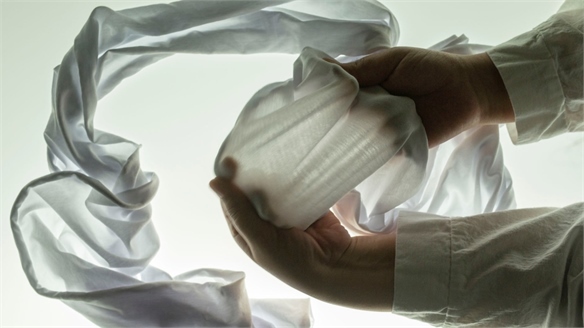 Future Fabrics Expo: Sustainable Solutions Fabrics of the Future British non-profit organisation The Sustainable Angle will showcase the latest material innovations at the Future Fabrics Expo in London this week (January 24-25). 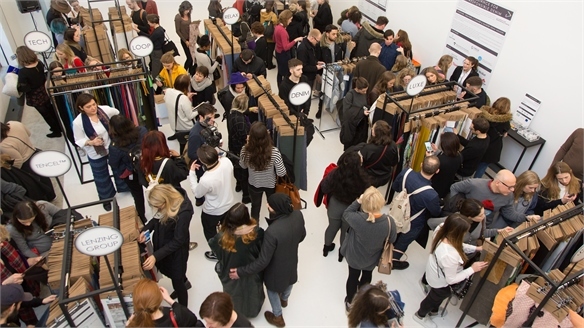 The exhibition continues the fashion industry’s drive to find sustainable solutions for an increasingly ethical consumer landscape. 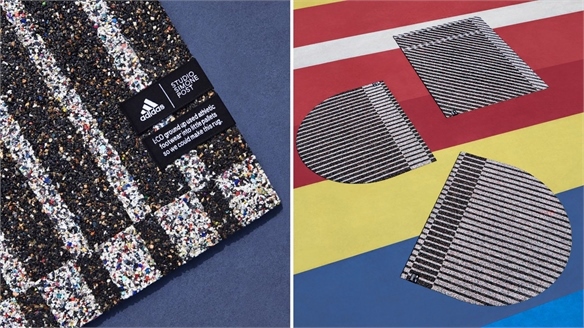 Adidas Recycles Trainers into Rugs in Designer Collaboration Adidas Recycles Trainers into Rugs Brand leaders are exploring pioneering initiatives to curb problematic waste streams and publicly strengthen their sustainability agendas. 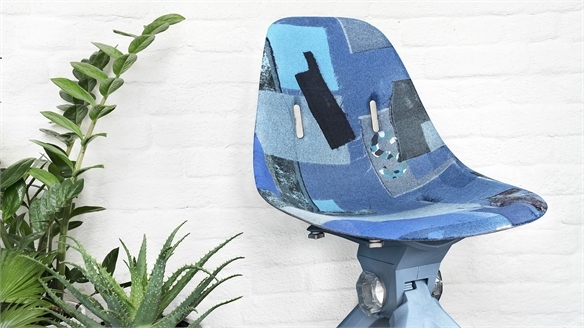 Front-runner Adidas has collaborated with Dutch designer Simone Post on a creative test case for transforming worn-out athletic footwear into rugs. 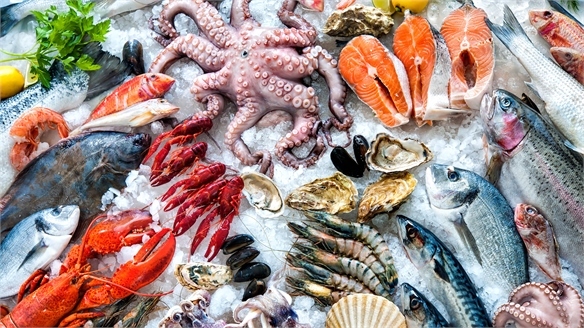 Ways to Recycle Seafood Waste Water Recycling Seafood Waste Water The seafood industry is incredibly water-hungry; it takes around 8,000 litres to prepare one ton of marinated mackerel, and up to 50,000 for a ton of peeled shrimp. 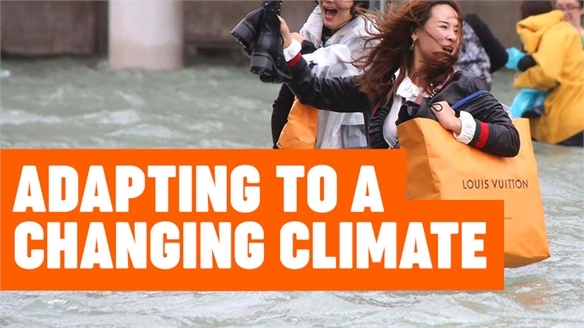 But researchers at Chalmers University in Sweden have found new ways to reincorporate this waste water back into the food chain. 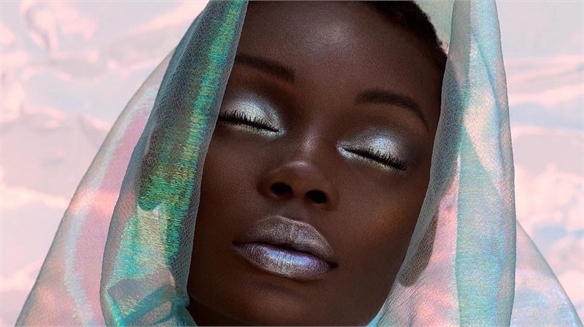 Google’s Top Beauty Searches for 2018 Revealed 2018’s Top Beauty Queries Revealed This year’s most-searched beauty topics on Google included key issues such as environmental consciousness and inclusivity. We highlight the most commercially relevant opportunities for brands and product developers to explore in these two areas. 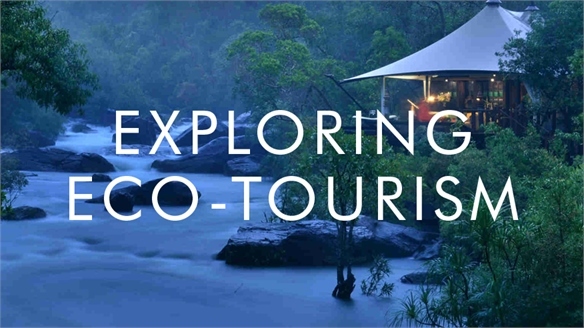 Exploring Eco-Tourism Exploring Eco-Tourism We take a look at the evolving trend of eco-tourism, and how hospitality brands are meeting growing demand. 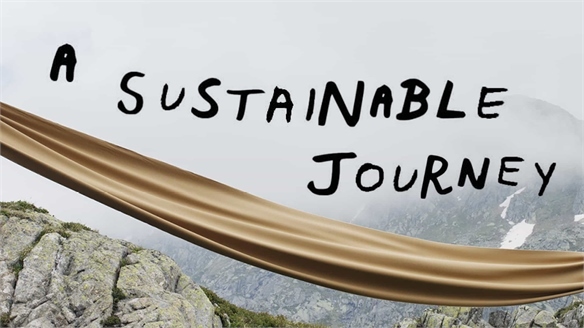 As research reveals 87% of travellers want to see the world sustainably, with 68% intending to stay in eco-friendly accommodation, brands have a clear opportunity to engage meaningfully with consumers. 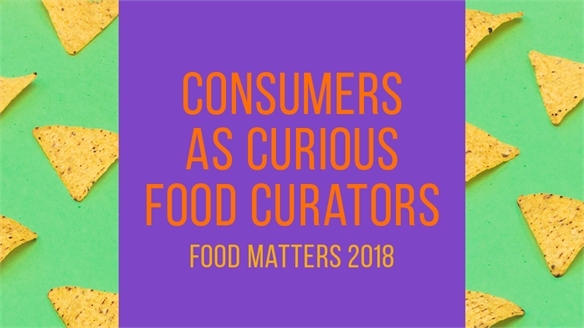 Consumers as Curious Food Curators: Food Matters 2018 Food Matters 2018 Sustainable futures and normalising lesser-known ingredients were key motivations for panellists and food producers at Food Matters this year. 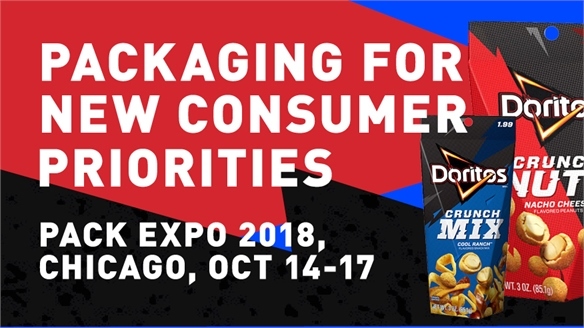 Brands showed that they’re exploring these ideas through innovative packaging, creative research labs and solutions that make consumers the active curators of their eating habits. 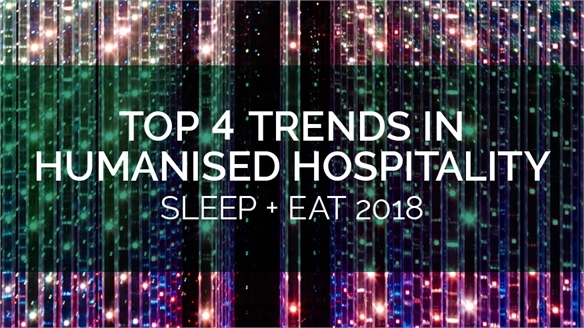 Top 4 Trends in Humanised Hospitality: Sleep + Eat 2018 Sleep + Eat 2018 Through subtle use of tech, multisensory touchpoints and elevated green credentials, hotel brands can create consumer experiences that are enticing, effortless and ecological. At London's hospitality design fair Sleep + Eat, a plethora of hotel and restaurant designers dissected how to tap into this next-gen thinking. Selling New Foodways Selling New Foodways Online grocery sales are projected to quadruple between 2018 and 2025 (Deutsche Bank, 2018). 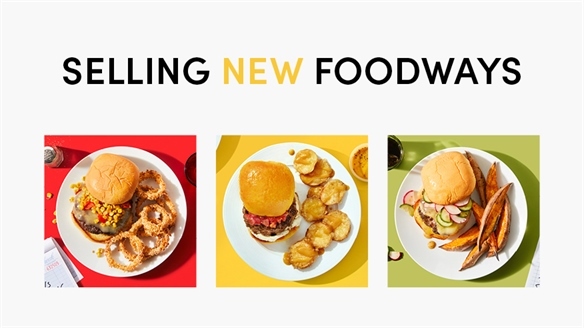 We take a look at how incumbent brands and challenger platforms are using data insights and passion points to change how people perceive and present the way they eat. 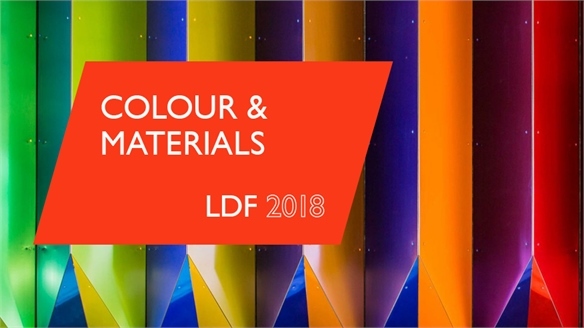 LDF 2018: Colour & Materials LDF 2018: Colour & Materials We round up the most exciting colour and material directions that emerged from London Design Festival, including key colour applications, processing techniques and finishes that will impact the industry. 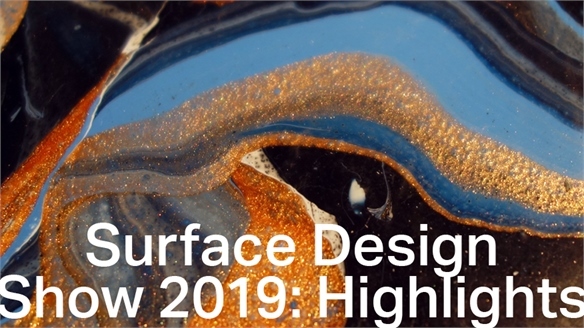 This year saw a strong focus on plastic, progressive recycled materials and immersive colour experiences. 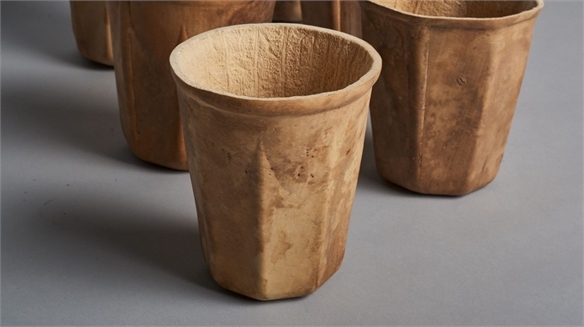 Biodegradable Coffee Cups Grown from Fruit Eco Coffee Cups Grown from Fruit As big brands and retailers pledge against plastic, designers and researchers are persisting with sustainable and plant-based alternatives for single-use items. 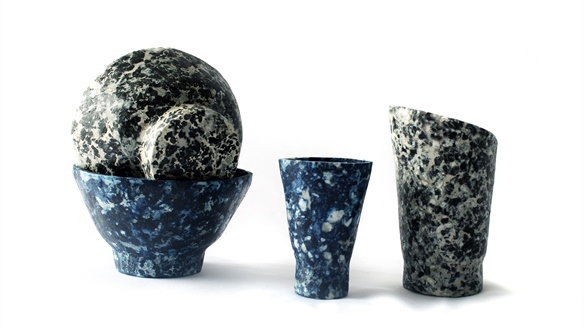 Brooklyn design studio Crème has turned to gourds (fleshy fruits with hard skin) to create an environmentally friendly solution to disposable coffee cups. 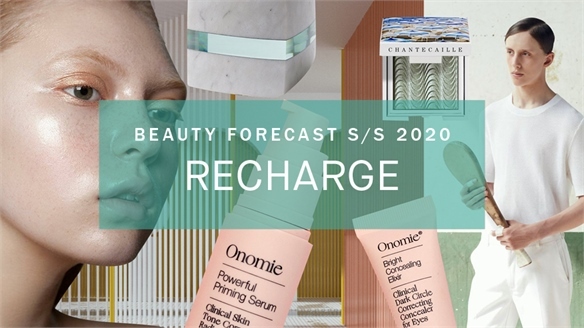 Beauty Forecast S/S 20: Recharge Beauty Forecast S/S 20: Recharge Recharge introduces beauty’s latest take on ‘new age’, where the laid-back appeal of a hippy LA lifestyle is elevated through the fusion of wellbeing with technology and science. The pursuit of powerful natural energies drives a celebration of the real, with expert products that offer a lit-from-within beauty aesthetic. 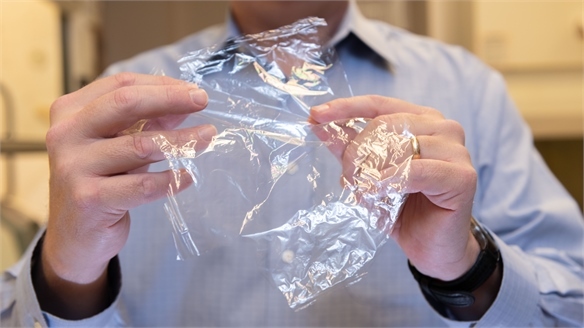 Crab Shells & Cellulose Offer Promising Plastic Alternative Nature’s Solution to Plastic Waste Brands seeking a sustainable alternative to plastic packaging should take note of a nascent new material made from the two most abundant biopolymers on Earth. 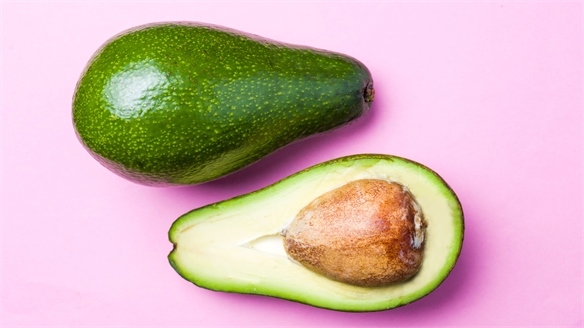 No More Mushy Avocados: Edible Coating Doubles Shelf Life Stay-Fresh Avocado Coating Californian company Apeel Sciences has developed an edible coating that can extend the shelf life of this millennial favourite. The invisible barrier, made entirely from plant materials, delays mushiness – an innovation that could spark a food retail revolution. 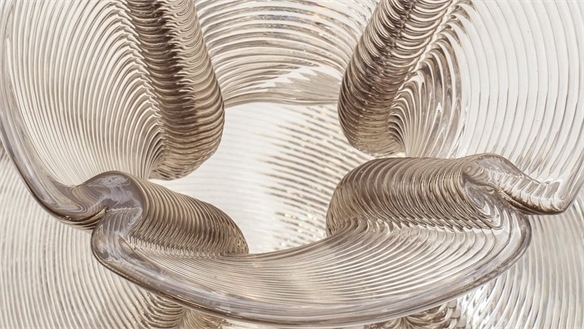 London Design Fair Crowns Plastic Material of the Year Plastic Crowned Material of 2018 As the public backlash against plastic continues, an increasing number of brands, designers and organisations are rethinking the way we produce, consume and recycle it. 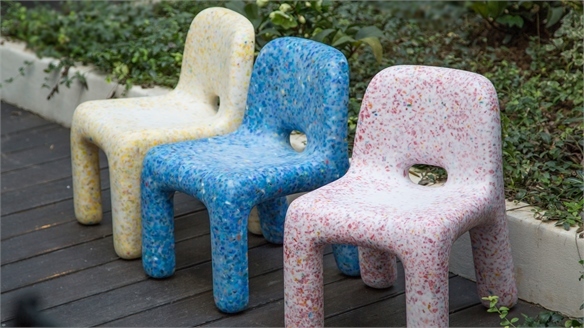 In a bid to further raise awareness, the London Design Fair (LDF) has decided to spotlight the condemned material – naming it Material of the Year. 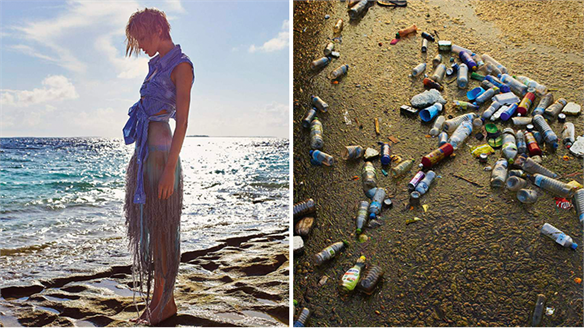 New Biodegradable Wet Wipes Lessen Beauty’s Impact on Oceans Will Wet Wipes Be Wiped Out? Following a number of microbead bans in the cosmetics industry, consumer demand for sustainable beauty has increased. Is eliminating environmentally damaging wet wipes the next mainstream solution? 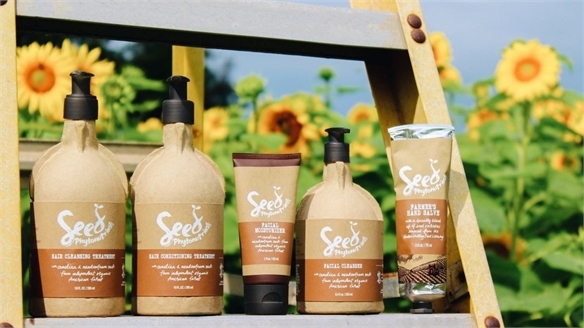 Sustainability Solutions: Luxe Pack New York 2018 Luxe Pack New York 2018 Rising consumer demand for sustainable packaging and a recent wave of corporate pledges to do better were evident at LuxePack NY (May 16-17), with more suppliers promoting sustainable concepts. 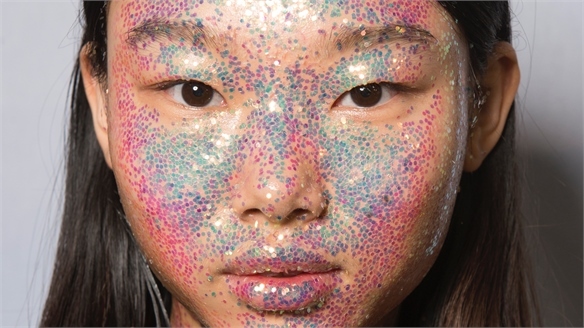 Plastic-Free Cosmetic Glitter Plastic-Free Cosmetic Glitter Responding to growing concerns about the toxic impact of microplastics, British manufacturer Ronald Britton has created a plastic-free, biodegradable glitter for use in cosmetics. 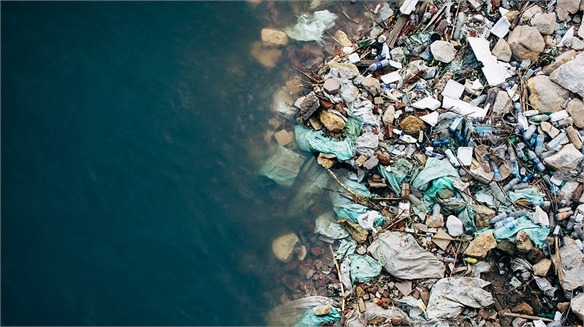 Raw Truth: Plastic Exhibition Raw Truth: Plastic Exhibition The global impact of plastic pollution is being exposed in a new exhibition at London's Royal Geographical Society, named Raw Truth: Plastic, A Journey from Source to Solution. 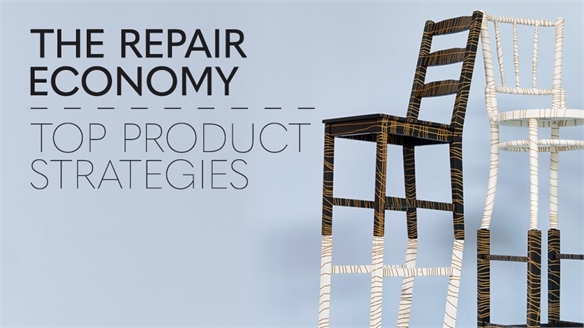 Designing Out Waste: Sustainable Production Designing Out Waste From individual designers to global initiatives, the issue of waste is being readdressed through innovative approaches to reuse and forward-thinking production methods. 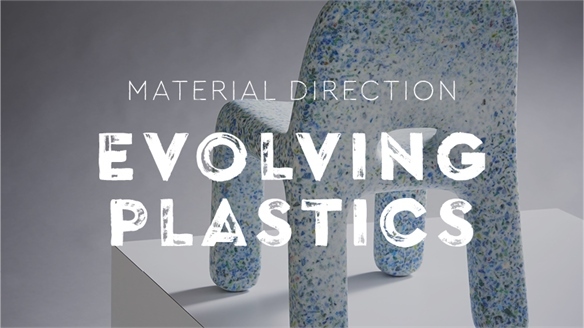 Recycled materials are being elevated into the mainstream, while creative approaches to manufacturing strive to eliminate waste entirely.